We have introduced many shawl patterns in past posts. 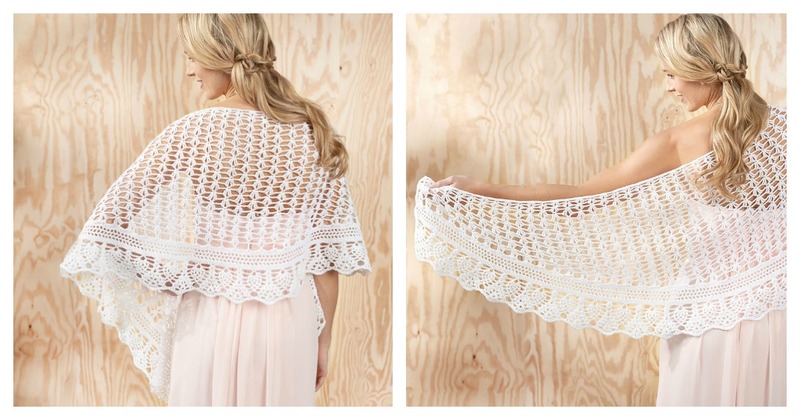 This Gardenia Lace Shawl Free Crochet Pattern is yet another beautiful shawl pattern. It has graceful curved shaping and pineapple edging. It is perfect for the bride or any spring garden party. It is beautiful as shown in white, but would be equally as stunning in any shade of this heavier fashion-weight crochet thread. The pattern is very well written with all the details, so it should not be difficult to follow. Enjoy the final amazing result.